If you can't free Odahviing after trapping him at dragonsreach don't worry, it's NOT a glitch. It's just horrible Developer work from Bethesda Gameworks. 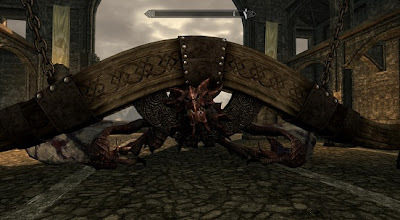 What you need to do is go up the stairs to the right (right side when facing the dragon), speak to the guard up there and ask him to release the trap. But...the guard died...WHAT DO I DO?